Streetcars on Sakaisuji in Osaka. 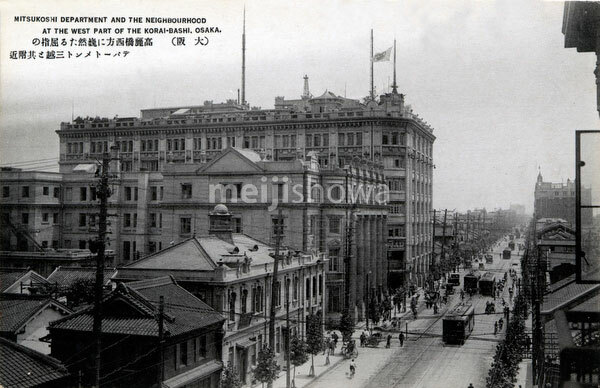 The large buidling in the back is Mitsukoshi Department Store. Sometime after 1937 (Showa 12). The photographer looked South from a vantage point nearby Naniwabashi Bridge.